Rightways: The real Malay dilemma: race, religion & politics messed up! Old politics: If the leadership keeps to the racialist, feudalist and religious-centric tactics and policies of the past, thinking this is what they need to do to keep the votes, it will just be the repeat of past mistakes of the Umno era. A HIGH-level panel has been announced to review the administration of Islamic Institutions at the Federal level. Commendably, all views from the general public is welcomed. The Keeper of the Rulers’ Seal is also quoted as saying, in the announcement of this Panel, that it was appropriate that the related institutions undergo improvement so as to protect the religion of Islam, as well as promote its universal values in the country. So here is a short opinion - Islam does not need protection, nor does it need to be institutionalised. As a Muslim, I believe in God Almighty. His religion does not need anyone’s help, least of all from fallible human beings. Islam and God has no need for anything, but human beings do. No one represents Islam. Everyone represents their version of Islam that suits their wants and needs. These include those in political parties that say it represents Islam but simply do not. They merely represent their personal human interest for power and authority. We need our Government to protect us from people who want to wield powers upon others by using religion as their weapon. That is what we Malaysians, Muslims and non-Muslims need. I want to ask the political leaders of Malaysia, elected and unelected: What do you intend to do to protect us from those in power whose interest is to wield their religion over others? In Malaysia today, we are obsessed with religion. Politicians and Ministers talk about religion and upholding religion. We have dedicated channels and programmes on religion on mainstream TV. Teachers force their religion and religious interpretations on children. Even the technical department, JKR (Public Works Department) for example, has set up sign boards espousing religious thoughts. Ever go to civil service offices? Observe just how many religious seminar banners and thoughts are plastered all over these places. Sometimes I wonder whether these are public services departments or religious propaganda functionaries. Why this parade of religion in the public sphere? Is it because our people obsess on religion, as they personally have got nothing else of substance to promote that would enhance their work and the lives of the people they serve? Or that they have to cling to religion as that is their one and only part of their lives that provide them any sense of self-worth? Today, our Malay society has become a society so religiously judgemental that the sight of a woman without head-cover is practically blasphemous. Think about this, after all the hue and cry of the 41 year old with 2 wives, from Kelantan who groomed his third, 11 year old child bride from the poor family in Thailand, the state religious authority penalised him for an unregistered marriage and then, instead of voiding it, basically approves the marriage. A significant portion of our Malay- Muslim society rejoiced! Can a Malay society, more insular and superstitious in thought, that is now funding thousands of religious schools and Tahfiz centres/boarding houses than ever before in its history, create a population that is competitive to succeed in the 21st century? Can it even compete on a fair footing with the rest of the Malaysian non-Muslim population? 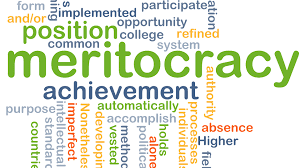 Malays have been given preferential places in universities, GLCs and the civil service for more than 40 years now, what have we got to show for it? 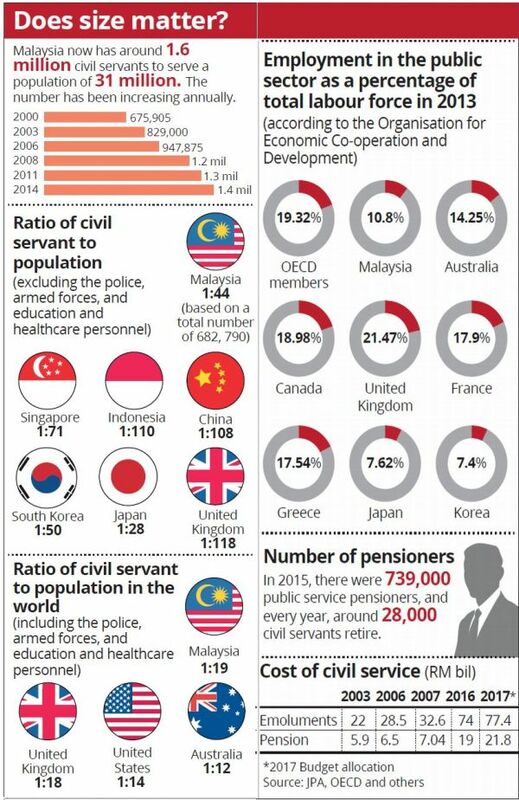 Uncompetitive universities, a significant pool of unemployable Malay graduates and with most being employed by the civil service and the failed GLCs, and such corrupt administrations that a 93- year-old man has to come back to be the Prime Minister, that’s what. Would more religion help? Or would it make the population less competitive? Let us all be honest. This has been the unintended consequence of the assimilation of Islamic values in governance (“penerapan nilai-nilai Islam”) instituted in 1985. The road to hell, they say, is always paved with good intentions. If nothing is done this nightmare is just beginning for the Malay society and Malaysian in general will suffer for it. If we want to see where our nation is headed with this type of ideology and cultural religious mind-set besetting 60% of our population, we don’t have to look far to Saudi Arabia or Iran or even Aceh, we just need to see the state of governance and life in Kelantan. Democracy is only as good as an informed and intellectually challenging population. The Nazis in Germany and the Mullahs in Iran were all elected by the majority. Today, the Iranians are rebelling against their repressive theocratic Government but the Mullahs are not going to let go of power that easily. Thousands are in jail. But our Malays don’t seem to see or learn the lesson. Erdogan is taking Turkey on that road to already disastrous consequences and many of our Malays applaud. The only reason the majority of the Malays today are satisfied with their lives to carry on being religiously obsessed, thinking non-stop of the afterlife and judging others, while the non-Malays are focused on bettering themselves in this life, is that the Malays, by and large, has been able to live off the teats of the Government in one way or another. It has been a fulfilled entitlement that will end sooner rather than later. This gravy train has stopped. Mahathir and Robert Kuok, two 90-year-old plus statesmen, had to go to China almost in tribute with offerings, to extricate us from the mess our Malay leaders have created. Unfortunately, Malays are oblivious to this fact. In fact, even most non-Malays are oblivious to the fact that if we do nothing, 30 to 40% of the population cannot sustain 100% of us. You need the remaining, at least, majority of that 60% to be able to truly contribute economically and not be consumers of tax from the minorities. And religion is not an economic contributor. It is an unproductive consumer of epic proportions with no returns. Mahathir came to lead the Government in 1981 and transform an agricultural hamlet into an industrial one with liberal economic policies powered by an industrious non-Malay population and the liberal segment of the Malay society. This was the population that made the country progress. Mahathir was not popular as a result of Islamisation. Mahathir was and is popular because he brought progress, prosperity and in-turn unity and pride in the country to everyone as Malaysians. He brought revolutionary change to real life. For all intents and purposes, he was a liberal progressive leader. A progressive leadership will only be elected by a progressive society. The only reason the Pakatan Harapan government was elected was because the progressive societies of the non-Malays and the liberal Malay voted for it. We saved the nation, again. Unfortunately, that liberal segment is now forgotten and vilified. Malay liberals who are capable and focused on a productive life are labelled blasphemous and extremists, and shunned by the leadership in power, no matter who are in power. The religious conservatives, on the other hand, are courted and coddled as if they will be the ever-lasting vote bank that must be assuaged. Think again on this paradigm. Malay swing votes are persuadable but only if the leadership shows the way. If the leadership keeps to the racialist, feudalist, and religious-centric policies of the past, thinking this is what they need to do to keep the votes, they will just be repeating past mistakes of the Umno era. More of the Malay population will move to the right of centre towards the Mullahs. It is an inevitable outcome of such a policy. 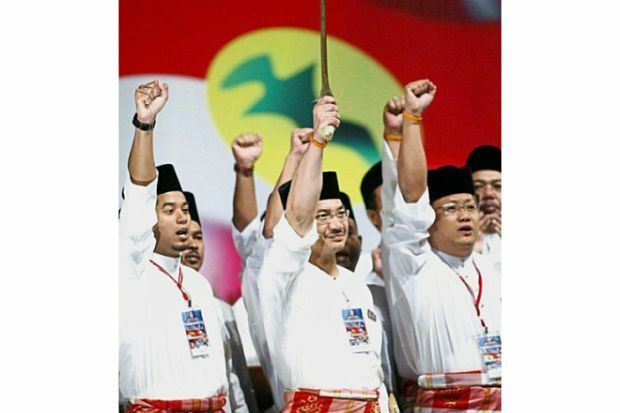 Islamisation was a counter to PAS, it only made Umno the old PAS, and PAS the new Taliban and a stronger party every year from that time onwards. Religion by its very nature will always veer towards conservatism and fundamentalism, no matter how one wants to spin those words. Because institutionalised religion is about following. The attractiveness of institutionalised religion is the abdication of thinking to religious leaders with easy answers one shall not question. More so, when the population is uncompetitive against the outside world. In Malaysia, we have one of the most sophisticated array of institutionalised Islam in the world today. So, without a change from the religious-centric environment the Malay society is currently in, and an education system that indoctrinates rather than enhance critical thinking, Malay society will continually drift towards the insularity of religious conservatism and away from progressive capabilities to succeed in the modern world. And population demographic will ensure that a progressive Government will eventually lose out. Therein lies the real Malay dilemma. Would any of the Malay leadership be willing to change its society from a religious centric one to one that is progressive and modern in character? Do you want our Malay society to continue to regress and be uncompetitive? Do you want it to drag the rest of us down the road of conservatism and economic ruin? 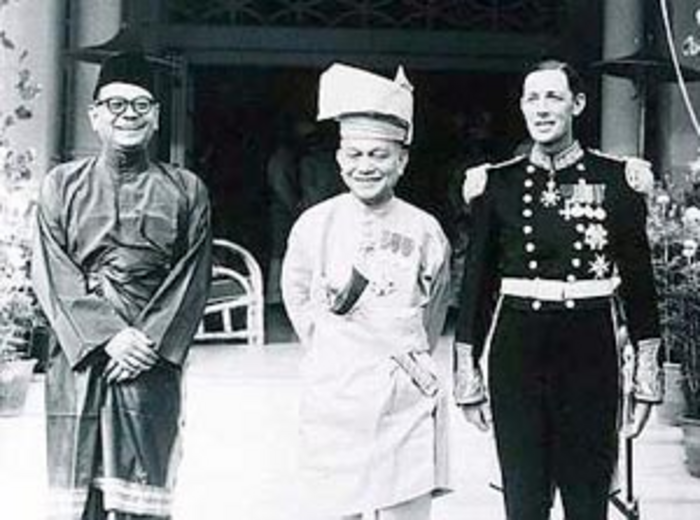 As Malay leaders, do you placate or do you lead for change? How do you lead that change? The views expressed are those of the author and do not necessarily reflect those of The Star. 1Malay or 1Malaysia? Malaysia All Screwed-Up!